Let me start off by saying this is not a sponsored post and you will not find any affiliate links within this post. 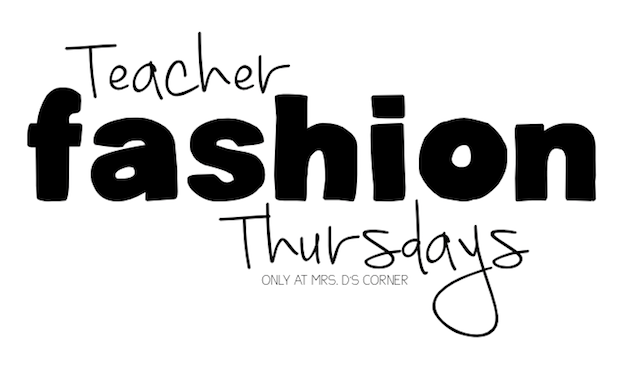 I am simply sharing some teacher fashion love! Heyyyyy… wow, the last time we had a fashion talk for teachers was almost two years ago [Volume 1 // Volume 2]. Over the last two years my fashion sense has developed into a more… basic, yet mature look. I still pretty much live in athletic gear when I get home and on weekends, but I’ve actually done my hair and makeup 18/18 school days so far this school year. Say what!? Yeah, I’d say I’m growing up *ha! If you read my Fall Hop post yesterday, you’d know that I learned a pretty big lesson last autumn… don’t wait until the weather in Texas feels like autumn. Because by that time, it’s December and you won’t find anything. I am being 100% honest when I tell you that I’ve never owned a chunky sweater like this one… and I’ve not worn a turtleneck since high school. But when I saw this sweater online, I knew it was meant for me. It’s the perfect thickness and loose fitting. The turtleneck isn’t too tight around your neck, but it isn’t so loose that it looks like it’s falling off of the sweater. It really is perfection. True to size. I love this shirt so much that I bought it in 3 different colors. Yes, it’s that amazing! This soft, loose fitting shirt comes in 8 beautiful colors and goes perfect with just about anything. I plan on pairing it with jeans or work pants and a statement necklace or scarf. I went with one size up so the material wasn’t too tight on my skin (AE typically runs small in my opinion, so I always size up). I bought these in Burgundy Ivy (as shown) and Olive. They’re perfect for work and burgundy is a really popular color this season. I like khaki pants the best because they’re easy to move around in as a teacher and they’re still professional. You can dress them up or down depending on how you style them. True to size. I was really nervous about how this sweater would fit. I bought something similar from the Gap last year and loved it the first time I wore it, and then it just looked like a sac of potatoes on my body after that. But I really like this sweater. It’s soft and loose fitting (are you noticing a trend yet?) and the v-neck isn’t too low for work. I actually ended up buying it in two colors, Black Jaspe and Oatmeal Heather. I did go one size up and it still fits just the way I like (AE typically runs small in my opinion, so I always size up). I follow this online boutique on Instagram and since I had been on the lookout for a cute plaid shirt with red, I figured I’d give this one a try. It’s more silky that thermal… so I guess it’s kind of dressier? Can plaid be dressy? But I really like how it fit, plus I wanted to style it with the J. Crew vest below. I have had my eye on a J. Crew vest since last year at this time, but I could never swallow the price. I don’t know what changed my mind on the price, but I did it. The color is really nice and the quality is there (which it should be for $120!). I figure this vest will look nice with jeans or pants and a top like the plaid shirt above. I’m really excited about this actually! True to size. I also follow this jewelry boutique online and found them through another teacher blogger. If you like statement jewelry, these earrings are for you! They are leather and super lightweight. You can buy them in dozens of colors and they’re relatively inexpensive. I purchased these earrings in white and two other colors. Since they aren’t glittery or shiny, I figure I can pair them with many outfits in my closet! If you want to see where my fashion inspiration comes from, check out my Fashion Pinterest board here. Now if only my actual closet were my Pinterest board… a girl can dream!